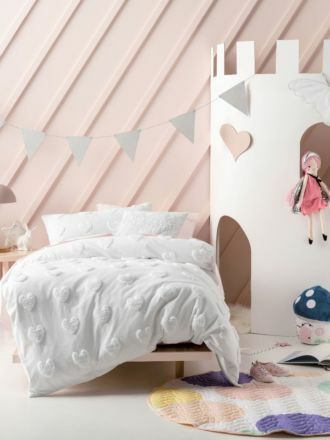 Make your kids room awesome by picking out kids bedroom quilt cover sets that suit their style, making story time and sleeping even easier and more fun! 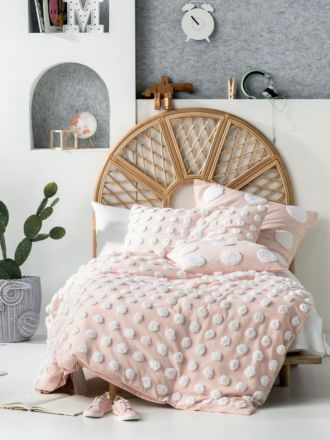 Choose from kids’ bedroom quilt cover sets that have patterns such as beautiful fish swimming in an ocean with seashells and corals, a pretty pink garden featuring bright strawberries, butterflies, and flowers, or blush pink swans with soothing lilac lilies. All our kids’ bedroom quilt covers sets are made wtih soft cotton to provide your kids with that comfortable and cuddly sleep all night long. With fun colours and patterns, no kid will be able to resist bedtime and you’ll be able to make your children’s room a happy space. No more fighting for when they want to sleep or crying over getting into the parents’ bed, our kids bedroom quilt cover sets help you create a space that every child will love.